Congrats goes out to Jeff Patterson for having the winning ticket for the Padron Event raffle. 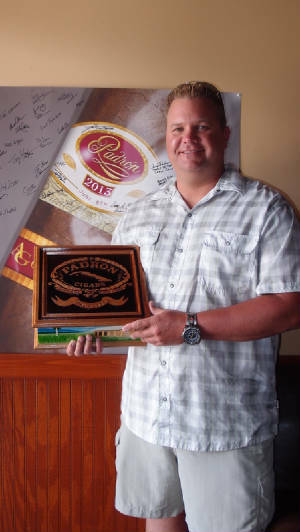 He wins the Padron 40th Anniversary Humidor with 40 Padron 40th Anniversary cigars. This wooden humidor is hand carved and hand painted by the artist.